Newsru.com said the FSKN previously acknowledged only 30,000 deaths annually from narcotics in this age group. The media outlet also noted that the FSKN said Russia currently has 2.5 million heroin addicts, and 3 million other illegal drug users. Russia alone represents the world’s second leading region for heroin consumption, according to a recent U.N. study. It consumes 21 percent of the world’s supply, while Europe is number one at 26 percent. Izvestiya indicated Fridinskiy said 1.7 times, to be exact. 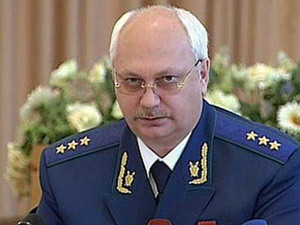 According to Krasnaya zvezda, Fridinskiy said all drug-related crime increased by four times. The “most complex” situation with illegal narcotics in the army, according to Fridinskiy, is found in the Southern and Eastern MDs. In the first nine months of this year, 345 crimes involving narcotics trafficking were registered in the armed forces. Fridinskiy also said more than two-thirds of narcotics trafficking crimes are committed by contract servicemen, and one-fifth by officers. Fridinskiy also said the danger of narcotics use is greater in the military than in the civilian world, given the availability of vehicles, combat equipment, and weapons. ITAR-TASS reported Fridinskiy’s statement that 3,000 young man are declared unfit for army service each year due to narcotics use. The FSKN and Fridinskiy information appeared a week after ITAR-TASS reported that the RVSN will start drug screening for its personnel in 2011. The RVSN said it would use testing systems that can detect the presence or traces of narcotics even a year after the fact. It said “security sub-units” would be checked twice a year, and all others once. Testing might be extended to cover the RVSN’s civilian workers as well. News items on drug busts in the Russian military are not really frequent or rare. There are occasional stories. Just a casual look shows investigators broke up two drug rings in the Moscow MD in August. They reported investigating 60 drug trafficking cases in 2009. There were drug busts in both Baltic and Pacific Fleets back in March of this year. 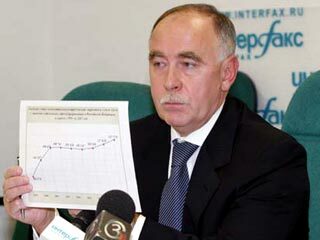 And it’s worth noting that surveys of conscripts typically show that 10 percent or less of new draftees fall into the undesirable category of “drug and alcohol abusers or those who have a police record.” Drug users are some portion of that 10 percent, and that seems to track roughly with what Fridinskiy says about the fairly low profile of narcotics in the army. But, as said above, he’s concerned that it’s growing. This entry was posted in Law, Order, and Discipline, Manpower, Officer Corps, RVSN and tagged Drug Testing, Federal Narcotics Control Service, FSKN, Khanty-Mansi, Main Military Prosecutor, Narcotics Trafficking, Sergey Fridinskiy, Spetsnaz, Viktor Ivanov, VVUZy. Bookmark the permalink.